A year ago, Congress enacted significant changes to the U.S. tax code, which took effect on Jan. 1, 2018. One of the biggest changes is the across-the-board reduction in income tax rates and expansion of income brackets. That’s good news for anyone who pays taxes. But many of the other changes could have mixed or even negative consequences for certain taxpayers. 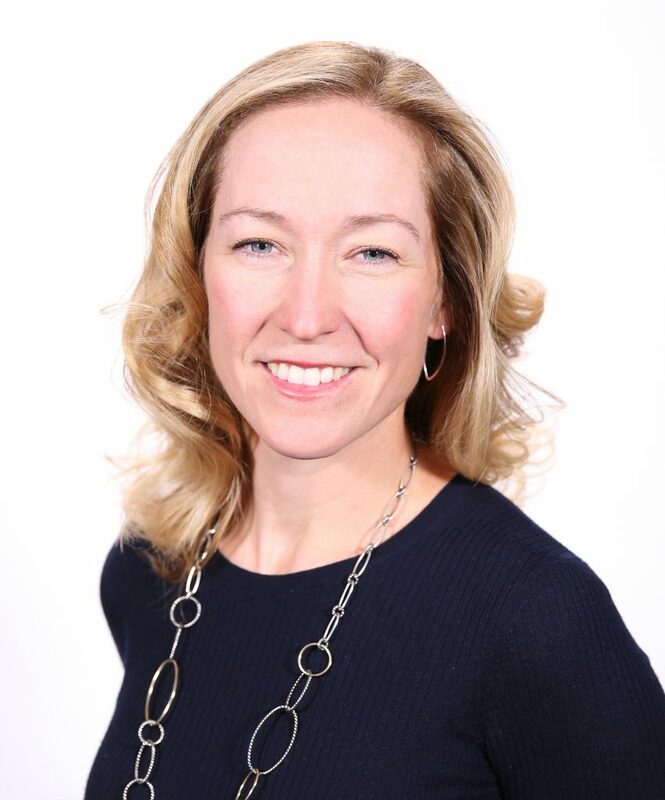 As we approach the end of 2018, it’s a good time to review those changes and consider some new tax planning strategies and opportunities. If you itemize your deductions, this could be a good time to start bundling your charitable gifts with a charitable gift fund to lower your tax bill. 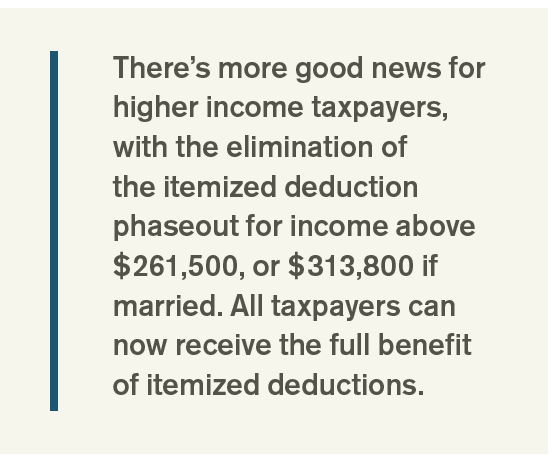 Taxpayers who claim the standard deduction will see that benefit nearly doubled to $12,000 from $6,350 for single filers, and to $24,000 from $12,700 for married joint filers. Some taxpayers who previously itemized their deductions will save more money by switching to the standard deduction. But for taxpayers with itemized deductions approaching or exceeding the new standard deduction amounts, the decision is more complicated. That’s because several existing tax breaks have been reduced or eliminated. Deductions of state and local taxes are now limited to $10,000 a year. This includes income, sales, and property taxes. It’s more of a factor in a high-tax state like California. But even in Washington State, with no income tax, your property taxes plus sales taxes can easily exceed $10,000. Big ticket item like cars, boats, jewelry or furniture incur thousands of dollars in sales taxes, some of which may no longer be deductible. The home mortgage interest deduction is limited to $750,000 of acquisition debt incurred after December 15, 2017. That’s down from the $1 million limit on older mortgages. Some refinancings will still qualify. Interest on many home equity loans is no longer deductible. Before 2018, borrowers could deduct the interest on loans or lines of credit up to $100,000. The new law restricts the deduction to loans used to buy, build or substantially improve the home secured by the loan. Investment advisor fees and tax preparation fees are no longer deductible. Under the old tax laws, high income taxpayers generally did not receive a tax benefit for these fees due to the phase-out and limitation of itemized deductions. Taxpayers who plan to itemize, or who are close to the threshold, could save on taxes by bundling itemized deductions, such as charitable contributions, into one year and then opting for the standard deduction in future years. Here’s an example: A married couple who has paid off their mortgage under the new tax laws may only have deductions of $10,000 for real estate taxes. If they typically donate $10,000 per year, their itemized deductions would total $20,000. Therefore, they would take the standard deduction of $24,000. In this example, they received no tax benefit for their charitable contributions. However, if they decided to give three years’ worth of gifts in one year (i.e. $30,000), their itemized deductions would now total $40,000. In this example, much more of their charitable giving had a direct result of reducing their taxes. One of the simplest ways to do this is to open a Charitable Gift Fund to manage your giving. A donation to a CGF, also known as a Donor Advised Fund (DAF), provides an immediate tax deduction, even if the actual gifts take place over several years. You can contribute assets that have appreciated – stocks or mutual funds, for example – and take a deduction for the full value of the investment. For any asset held for at least one year, you can avoid paying capital gains tax. As a bonus, the Charitable Gift Fund gets to sell the assets tax free. 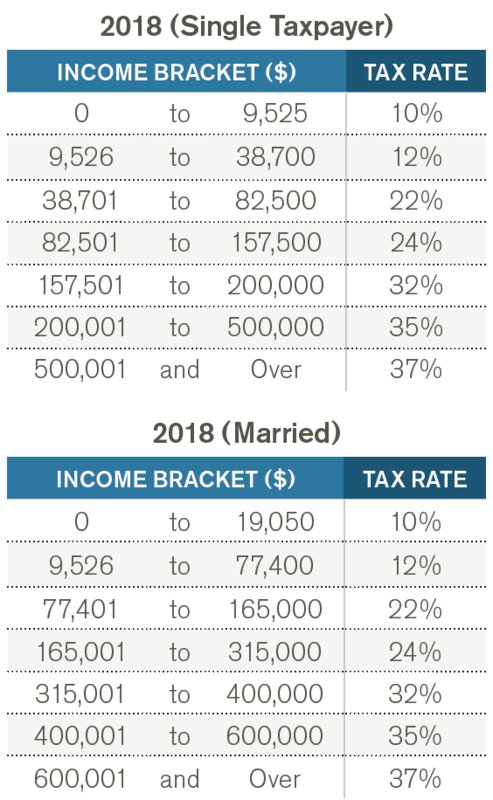 Overall, most people will pay less taxes under the new tax laws, especially if you can be proactive with your tax planning and look for opportunities to bundle deductions. Taxpayers with W2 income should pay particular attention to their withholdings, as the new withholdings tables may not be withholding enough tax (especially if you have a higher percentage of bonus and stock compensation vs. salary). Some taxpayers will find although their overall taxes have decreased, they may owe more money this upcoming April. It’s important to consider all the adjustments and whether you might need to revise your tax or financial plan under the new tax laws. Your Paracle advisor can help you with any questions and work with your tax planning professional to address the impact on your tax situation. We’d like to thank Don Archiable, CPA, for helping us prepare this article.